Although I wrote everything I know about squirrel issues for this website, oftentimes a problem with squirrels in the attic is beyond the scope of the do-it-yourself homeowner to solve. I have found a professional company in Akron, Ohio that handles problems with wildlife. 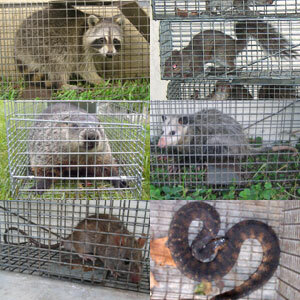 Precise Wildlife Services has access to tools, techniques, and experience that help them do a far better job at wildlife removal than a non-experienced homeowner could. They possess licensing that allows them to do certain types of work legally, that non-licensed homeowners in the state of Ohio are not allowed to do. For the welfare of your situation, and the squirrels, in some cases it's best to hire a pro. There are good companies and bad companies out there. I've done research on such companies, to get to know them, and feel confident recommending their services. I therefore recommend a company called Precise Wildlife Services which services Akron, Ohio. If you have a squirrel problem, or any other conflict with a wild animal, and live in Akron, I am confident that this company, Precise Wildlife Services, is the one to call. I asked the company to describe their service range, and they said this - We serve the greater Akron area, including the cities of Medina, Brunswick, Wadsworth, and more. Precise Wildlife Services operates 24/7, so don't hesitate to call at any time to discuss your wildlife problem, and schedule an appointment for same-day or next-day service. My question to you is what should it cost for a proffesional to remove squirrels (at least 3) from my attic? I got a quote from one guy who wanted $1200.00 he said he had to disinfect the insulation and that it may have to be replaced. Additionally he wanted $75.00 per squirrel beyond one. I told him he is nuts. I bought a trap, Havahart, and put in in the attic to no avail. Don't want to sell my soul to get rid of these little pests. I see that there is a on way door trap is there somewhere to buy this trap? I know where they are coming in and going out and although it would be a pain, I could mount the trap. Do they make the repeater with a one way door? I am in Akron OH. I have many squirrels here who eat bird seed which we Place on the ground. Am I making. A big mistake by feeding them,and is it a dangerous thing to do..house invasion? My neighbor has warned me. I called and left a voicemail last week and haven't heard back. I have squirrels in my attic and I was wondering what your prices are for removal. I live in Fort Worth. Please let me know. Thanks for your advice. If you have a squirrel problem in Summit County Ohio, or any other conflict with a wild animal, I am confident that we can solve it. We use humane methods when dealing with Akron wildlife removal situations. Squirrel Control Akron. Our company is fully licensed and insured in Ohio. Call us any time at 330-615-1600 for a price quote and to schedule a same-day or next-day appointment to solve your squirrel problem in Akron.